Wedding car hire throughout The Lake District, North Cumbria & South West Scotland. It’s truly a wonderful experience to sit back and relax as a chauffeur takes you to and from your destination As part of our wedding car hire service you will be provided with a suited, friendly chauffeur who will be on hand to assist you during your special day. You’ll also be supplied with complimentary bubbly to toast your happy occasion. We’re based at Kirkbride, near Carlisle and cover North Cumbria, South West Scotland and The Lake District. 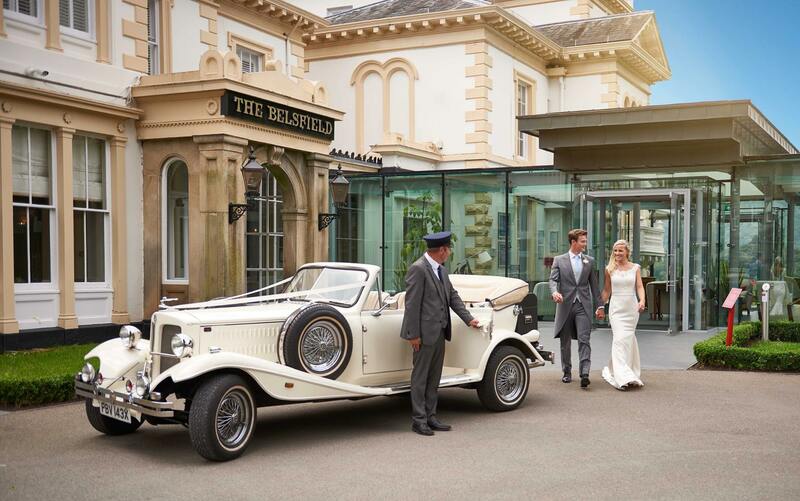 Why not contact us today for your very own bespoke wedding car hire experience. We are based near Carlisle serving The Lake District, Cumbria & South West Scotland. Only 8 miles from Carlisle and 25 miles from the Lake District. We have a selection of beautiful cars to suit your needs. You are sure to find the perfect car for your special day. At Cumbria Classic Wedding Cars, we decorate our vehicles with beautiful bouquets of flowers and ribbons of your choice. We ensure you of a professional, personal and friendly service throughout.